Where have we been the last few weeks – Lets launch Love Coffee! I have to appologise for being so absent in the last few weeks. After much fan fair I announced that we had appointed a chef – well we had…. until het accepted another position the next day. So why not simply open our doors? Between me and Jaco we are both adamant not to open the Whippet’s doors until we appoint a chef the people of Linden and Joburg deserves – so at this stage we are still going through numerous interviews to find the right chef. 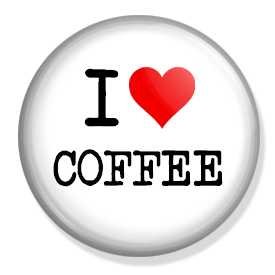 We have however in the interim decided to launch our first “Love Coffee” event next week Wed (21 November 2012) at 18:30 at The Whippet. The whole idea around the evening is to teach people about the history of coffee, the passion that goes into making this fine fruit and the skill that goes into making the perfect cappuccino. Alain our roaster will share his passion for the bean and you will also get the chance to test out your own cappuccino making skills with our new fully, hand made espresso machine from Florence. Seats are limited to 50 people,cost is R25 (Please click on the following link to book https://www.quicket.co.za/events/1284-the-whippet-love-coffee-night/) which includes a wonderful cup of cappuccino made with our soon to be famous Linden blend. So if you love coffee and would like to learn more about it, please join us for the evening. We will be selling some great wine and beers for those that prefer to enjoy the evening with us a little longer.